Implementing a beard balm into your facial grooming routine is a fantastic way to improve the health of your beard, and decrease rashes, itchiness, and damaged hair. Regardless if you are growing a thick manly beard, or a sculpted and cut goatee, when the facial hair becomes coarse and dry, it can be very challenging to maintain that desired look. The drier your hair, the more itching, and red patches will surface on your skin. The number one BEST thing that you can do to eliminate that discomfort and itchiness, and maintain your beard effectively, is to use our All Natural Nourishing Beard Balm! This is just one in a collection of our amazing facial skin products just for men, that work on your beard to give it a great smell while softening both the hair and the skin underneath. If you aren’t using a beard balm to manage your facial hair, consider all the benefits and purchase one of the best beard balms today, courtesy of Butter Me Up! Naturally! It doesn’t matter how thick or how long your beard is, you need to be using our beard balm to help to protect your skin underneath. Our beard balm is an all-natural moisturizer, protecting the skin so that the facial hair will grow smooth, soft, and shiny. When your skin is properly moisturized, the facial hair can grow more effectively. One other use for our beard balm is that it also is great for styling your beard. The unique blend of oils and waxes will give your beard a slight hold so that it looks awesome all day long. The all-natural fragrances will not damage your hair or your skin. Our beard balms contain lanolin, beeswax, or Shea butter; the perfect ingredients for thickening your facial and filling in those troublesome patchy beards. Depending on the beard balm you choose, they come with different degrees of holding power for styling the beard. For those unruly beards in a professional work environment, the strongest hold in a beard balm is recommended. Although the process in which our variety of beard balms are made might be slightly different, one thing remains the same; the application of the beard balms to your face. 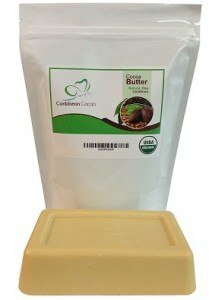 The first thing you need to do is thoroughly wash your face with our raw African black soap. Pat your beard dry with a dry towel. Lastly, place about a dime-sized drop of the beard balm in your palms and rub it through all your fingers. Start at the neck, rub the beard balm into the beard and continue working upward towards the chin. Be sure the beard balm goes through the facial hair and onto the skin of the face and neck areas as well. Apply up to three times a day for maximum results. The number one thing that our award-winning beard balms contain is only 100% all-natural ingredients. The four essential ingredients in your beard balm are going to be the beeswax, the butter, the carrier oils, and the essential oils. The most essential ingredient in your beard balm is the Beeswax. This wax is what is going to give your balm the hold it will need, and it supplies the hair essential nutrients like vitamin A. With very little friction it melts and then solidifies quickly. When you are learning how to make beard balm for personal use, the best type of Beeswax to buy is in 1-ounce bars. 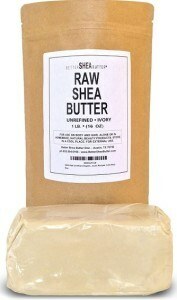 Shea butter has anti-inflammatory qualities, reducing both rashes and itchiness. These butters give the beard balm their spreading texture, allowing the balm to melt in your hands. Purchase one pound of each for your beard balm. To give the beard balm texture, you will need to add carrier oils. Depending on personal preference, the oils you can use range from argan, jojoba, grapeseed, kukui nut, coconut, and avocado. Purchase the smallest container until you find oils that you find most enjoyable. In order to give your beard balm a pleasant scent, you will need to add some essential oils. These oils are used very sparingly, as you do not want to overwhelm those around you with a strong odor. For a masculine smell, consider pine, cedar, or sandalwood oils. Tree oils are helpful reducing flakes and dandruff, and vanilla, benzoin, and peru all have warm and soothing smells. Visit our online store now to purchase our award-winning beard balms!